Perform administrative processes payroll and employee benefits. Perform administrative processes HRD activities. Assist the implementation of employee benefits program. 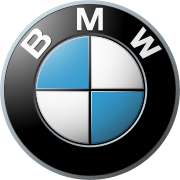 Send letter of application, CV, recent photo, copy of your diploma and transcripts via email to: HR Department-Head Office PT Astra International Tbk – BMW Sales Operation. hrd@bmw.astra.co.id (max. 1.5 MB). For detailed information, please refer official source on following link below. All applications will be treated confidentially.